With eFax, you can quickly and easily fax from your computer, tablet, smart phone or any other Internet-enabled device. No need for a fax machine, paper, ink, or extra fax phones lines. No more waiting in line at the fax machine, dealing with paper jams or redialing busy fax numbers. 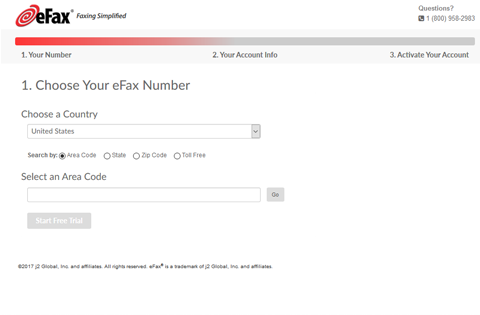 eFax lets you receive, review, edit, add a digitized signature, and securely send faxes from your email — and store and retrieve all of your faxes online forever. Sometimes you need to send a fax as confirmation or when you receive a specific email, it is easy with a digital eFax because you just need to send your fax (pdf, doc, txt,...) as email attachment, in the field "To:", type the fax number, followed by @efaxsend.com, The email must be sent from the email address associated with your account. 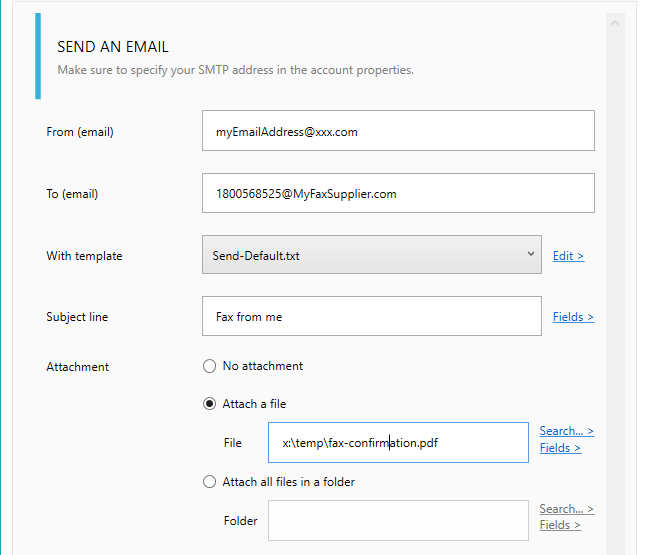 Here how to reply fax: Add an action to reply email and define the fax file attachment, now each time a fax will be received, it will send a reply to the number you specified. You can contact us for more information on this setting » .